If the Things got paid, what do you think they’d get paid in? Spoons? Whimsy? What would their output be measured as? Bhutan has pioneered Gross National Happiness as a way of measuring the output of a country. What is a unit of Things value? Individual Domestic Thingumery? Best wishes to everyone who has taxes to do in the next day or so. 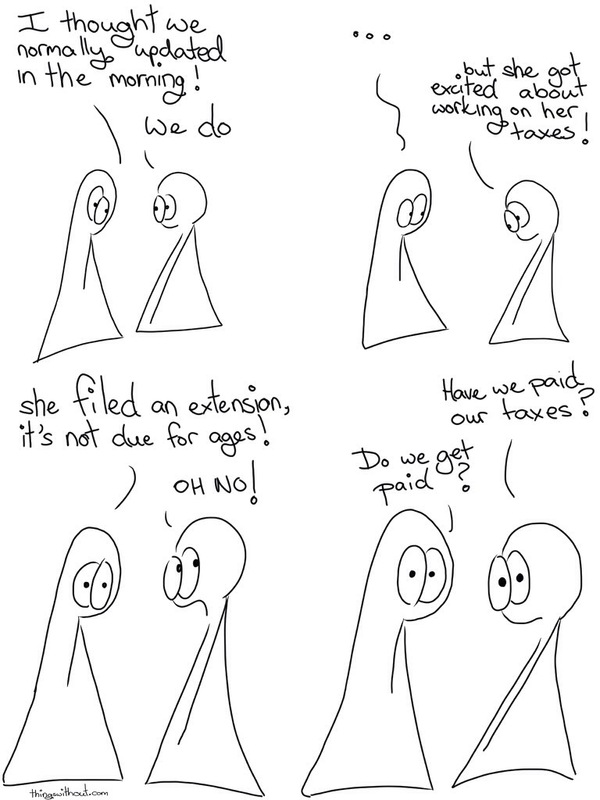 We pay taxes in two countries, one works on the calendar, one works on the financial year, so it’s always tax time! Wheeeee!